Yes! 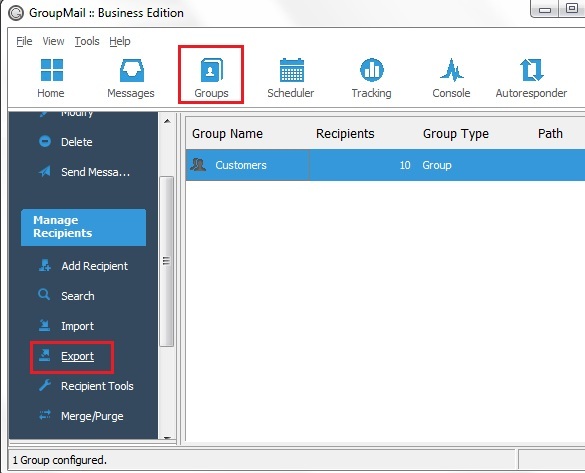 GroupMail makes it very easy to export contact groups as comma separated value (.csv) files so that you can use them in other environments outside of GroupMail. In the Groups area, highlight the group you want to export and select Export from the navigation panel on the left-hand side of the screen. Alternatively, you can just right-click the group and select Export. 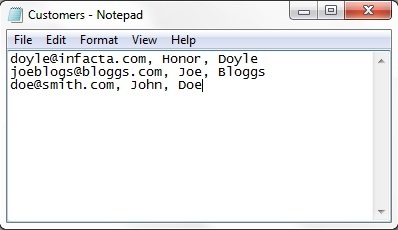 * Please note that I omitted changing the extension from .txt (which is the default,) to .csv. 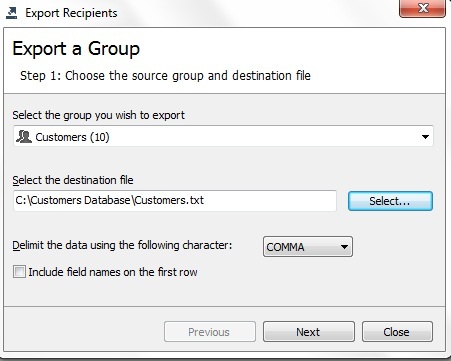 This is important especially if your are exporting a group with multiple fields which you want to import into another database or address book. If you forget to do that (like I did) in this steop, you can always just [re]save the file later as a .csv instead of .txt. 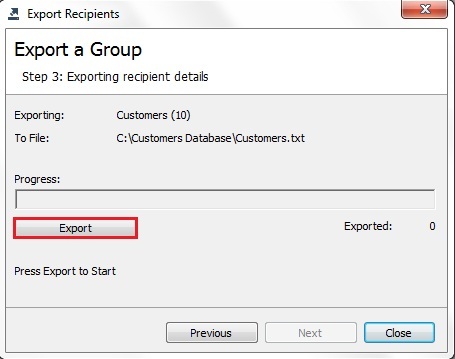 Select each field that you want to export from the group. In this example, I am only exporting the email address, first name and last name of each contact in the group. Then, click Next. Click OK when the export has finished. Open the exported .csv file from the location you saved it to if you want to review it. You can now easily import this .csv file into other contact databases and address books. Now you can send the .csv file of your group as an email attachment to a colleague and they can import the mailing list .csv file into their GroupMail software.